Pam has taught piano in her home for over 25 years. Over time, she became extremely interested in the research being conducted indicating a beneficial relationship between musical instruction in young children, and increased or enhanced brain development. This eventually led her to open Modesto Academy of Music & Design, enabling instruction for small children in beginning music and piano. Pam is excited and proud that several of her students have excelled and received scholarships to pursue music studies at the university level. 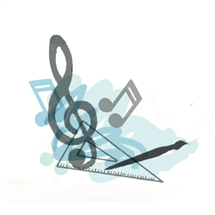 Pam has a BA in Music, and a teaching credential in Music Education and General Education. She is currently completing research for an Interdisciplinary Masters in Child Development Education & Music from California State University, Stanislaus. Pam is a member of the Music Teacher's Association of California (MTAC) and the National Guild of Musicians. 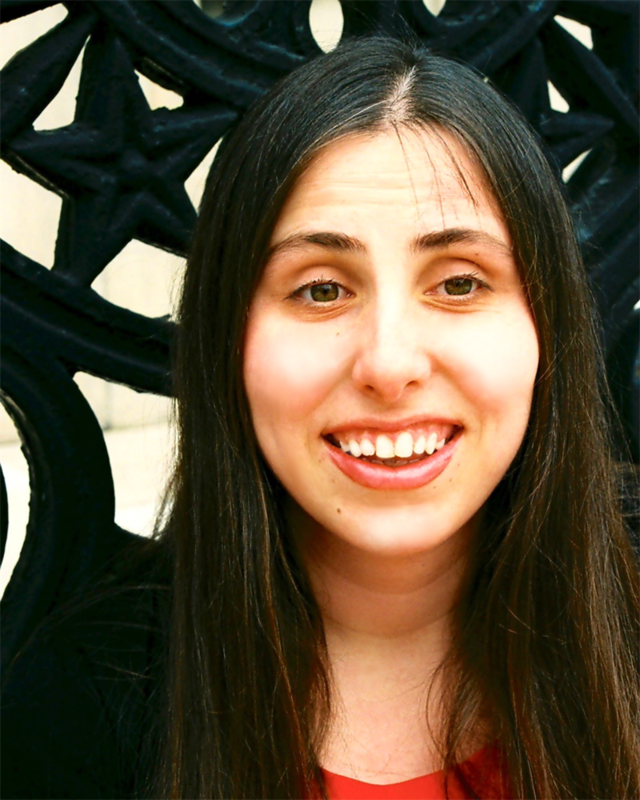 She has been a piano adjudicator for both organizations. Pam has served on the board for the MTAC, Stanislaus Branch and is currently the Chair for the Certificate of Merit program. Pam enjoys spending time with her family, and singing in the Celebration Choir at church. She hopes to someday be able to ring handbells again with the church handbell choir. Larry has taught numerous science courses at the high school level for 30 years. In addition to Life Science, Chemistry, and Biology classes (including Pre-IB & AP), he has added robotics to his teaching interests and was instrumental in bringing the Space & Engineering Academy to his campus. Larry enjoys spending time with his family and dog, gardening, watching sports, working with Christian Service Brigade (similar to Boy Scout program) and teaching Sunday School at his church. 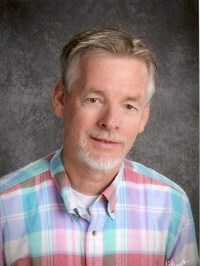 Greg just retired after twenty-two years as a public school teacher; twenty of those years at the middle school level. Prior to teaching he spent fifteen years in emergency medicine as an Emergency Medical Technician and a Paramedic. Greg has traveled extensively, living and working in nearly sixty countries. Some of his adventures included driving from Alaska to Panama. As a member of a four-wheel drive trans-African expedition he also traveled from England through North, West, Central, and East Africa over a five month journey. Legos has been a continuous part of his life for the last thirty years; first with younger nephews, then his first two children, he continues his passion for Legos with his younger children and by teaching here at our academy. Evan is a mathematics student at California State University Stanislaus, hoping to become a high school math teacher. Before becoming a robotics instructor, he was a merchandiser for several years, but found an opportunity here at the academy to pursue his teaching career. He was also a teacher’s assistant for the Fischertechnik classes before taking on the teaching role himself. The classes he offers provide students with skills in following visual instructions along with basic knowledge in how robots operate and are programmed. Evan enjoys teaching, reading, hiking, and spending time with friends. Ethan Richison or Mr. Ethan is 20 years old and is a current student at Stanislaus State University studying history. 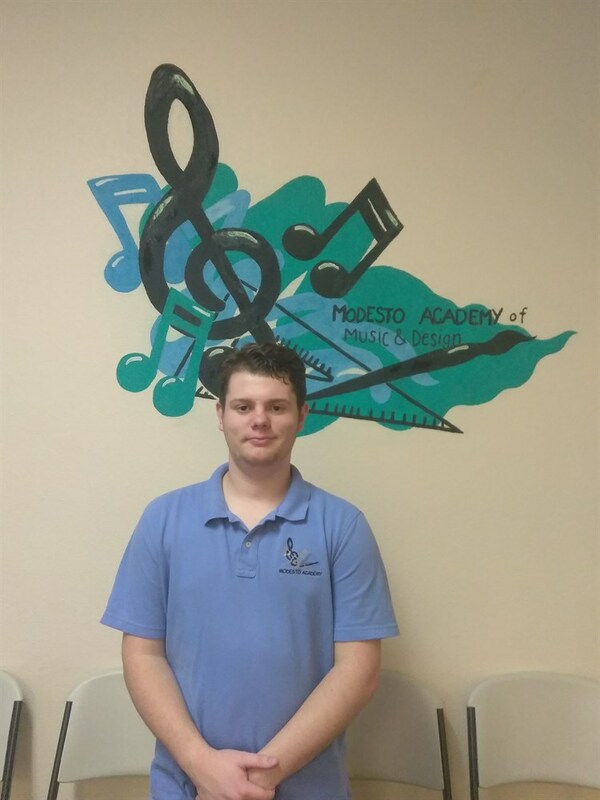 Ethan began working for the Modesto Academy of Music and Design in 2016 and began taking classes in 2011. Since then Ethan has been taught the techniques for pre-engineering, robotics engineering, and robotic programming. Along with what he makes for the class Ethan tries to make other designs that coincide with the activities and curriculum for the lessons. Joey Coray is a skilled vocalist, songwriter, and performer who studied choral arts and voice at San Jose State University, where he also earned his B.A. in music education and vocal performance. For many years he was seen performing and leading worship in the south bay, San Jose area. He spent 10 years singing with the Big Band, A Touch of Brass. They would perform for events like the San Jose Jazz Festival and large scale corporate events. 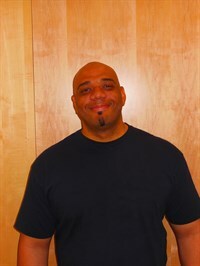 For 7-8 years, Joey served as the primary voice coach at the Bethel School of Music, where he worked with young and mature voices to develop sound technique and vocal style. He is able to develop all types of singers in the music style they desire. Some of his specialties include pop, opera, gospel, jazz, contemporary Christian and show tunes. 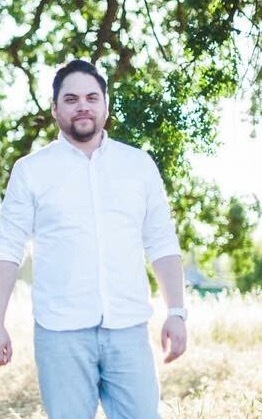 In 2014, Joey came to Modesto to join the staff at Modesto Covenant Church as the worship pastor. There, he is thrilled to be at MCC leading the worship band, choir and orchestra during weekly rehearsals and Sunday services. Joey enjoys spending time with his wife Kelsie and playing with their two dogs at the dog park. Silva's interest in the violin piqued in third grade, after watching the older students' recital in elementary school. From the first day in fourth grade upon becoming eligible to learn finally, she has since consistently played for the last 17 years. Throughout middle and high school, she enjoyed participating in music festivals such as California Music Educators Association's annual orchestra festival, county and state Honor Orchestras, CMEA solo and ensemble competitions and the annual Disney Honors program in Disneyland, Southern California. Now in college and finishing her preliminary studies in music education, she has seen first hand the magic that comes to life when a person learns an instrument. 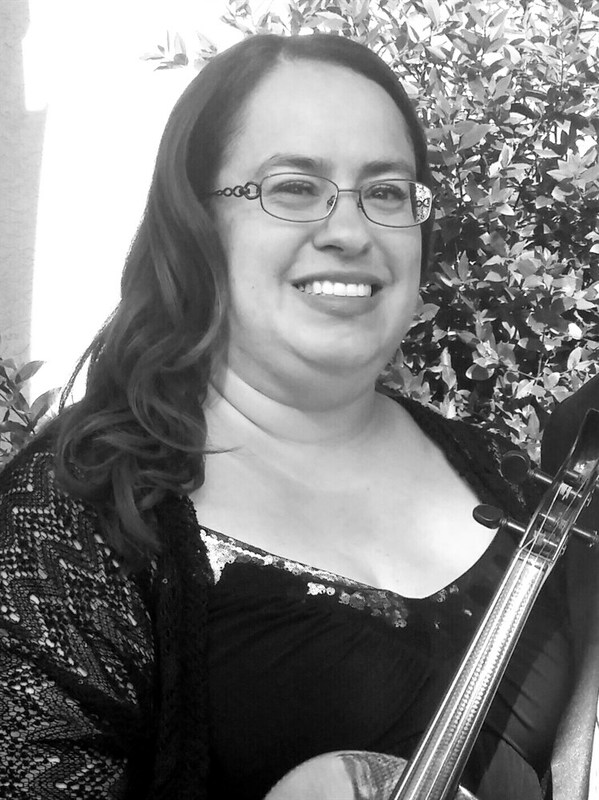 Silva gained her experience as a strings teacher when she became the assistant instructor to the Beginning Strings classes held at MJC. She also helps conduct, tune and clinic with the String Orchestra class. She has experience teaching most stringed instruments including viola, cello and string bass although her forte is in violin studies. 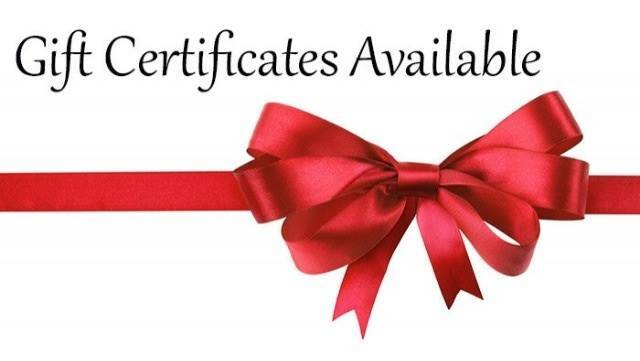 The emphasis in lessons include relaxation, proper posture and kinesthetic senses. 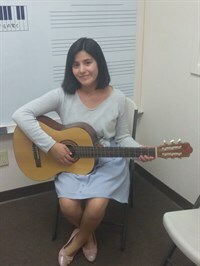 Her future plans include a Master's in Music Education which she hopes to blend with Music Therapy techniques. 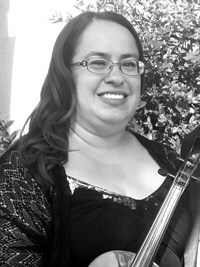 Outside of her assistance to the strings program at MJC, Silva also can be found around downtown Modesto with the MJC Strings & Things, a fiddle group of past and present students, at coffee shops, festivals and the occasional impromptu concert. Marina is pursuing a music career through MJC. She has worked with children through the public library outreach programs, as well as performed with the Modesto Band and Fresno Philharmonic. For many years she has enjoyed spreading music in her church community. Her emphasis lies in teaching music theory as a basis for all musical instruments, especially in younger students. She believes everyone can be taught how to play an instrument. Additionally, has mastered mathematics up to Calculus and Number Theory. Danelle has been with us for quite some time and we have enjoyed her enthusiastic spirit. She is a teacher that is committed to creating an atmosphere that is encouraging and supportive for all students. With a Bachelor of Arts in Music from California State University and also an Associate of Arts from San Joaquin Delta College, you can find Danelle teaching here at the Academy throughout the week. She is also a member of the Music Teachers Association of California and the National Guild for Piano Teachers. Paul grew up in Stockton, CA. While at Fresno State, he was the recipient of the Rookie of the Year Award in 2006 with the Bulldog Marching Band and was a member of the Jazz Band A, Wind Orchestra, Symphony Orchestra, and Clendenin Brass Quintet. He has traveled the world performing in Beijing, England, Spain, Carnegie Hall, Walt Disney Concert Hall, and the Sydney Opera House. As an educator: he has taught private brass lessons since 2007. His private students have received top brass player awards at their schools; auditioned and made local honor bands, honor orchestras, and the All-State Honor Bands. Paul has been a faculty member at Clovis West High School, Washington Union High School, American Union Elementary School, and San Jose State University. In 2013, he was selected as American Union Elementary School's Teacher of the Year. 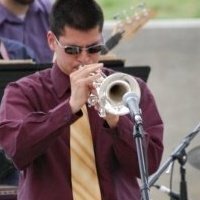 In 2016, he completed his MA degree in Instrumental Conducting at San Jose State University. He is the current music director at Joseph A. Gregori High School. Paul is an active member of the National Association for Music Education, California Band Directors Association, California Music Educators Association, California Orchestra Directors Association, and is serving as Treasurer for the Central Valley Guard and Percussion Circuit and the Stanislaus County Music Educators Association. Christopher is currently employed as a teacher for Lincoln Unified School District in Stockton, California, where he teaches classroom music and band. He received his B.M. degree from the Conservatory of Music at the University of Pacific. His previous positions included the Diocese of Stockton, Linden Unified, and Salida Union School Districts. 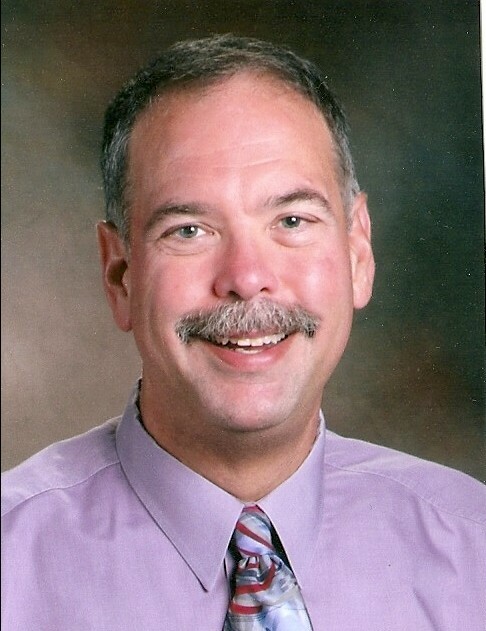 Mr. Steffanic has been a clinician for California Music Educators, National Pastoral Musicians, and the UOP Conservatory Clarinet Festival, as well as serving as a mentor teacher for future music teachers studying at the UOP School of Education. He is a member of National Association of Music Educators, California Music Educators Association, Music Teachers Association of California, and the American Federation of Musicians Local #189. As a professional musician, he has performed with the Stockton Symphony, Townsend Opera Players, Stockton Choral, Stockton Civic Theater, Merced Pops Orchestra, Modesto Performing Arts, Gold Country Orchestra, and special musical events for the Diocese of Stockton. Chamber Music is also a favorite source of music making. Chris works with Clarinetistry, the Azul Sax Quartet, and the Pacific Avenue Clarinets, small ensembles that perform in Stockton or Modesto. 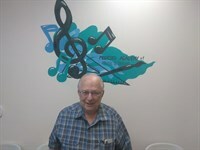 He currently plays clarinet for the Central Valley’s premier concert band- The Valley Concert Band. He plays clarinet/saxophone for the big bands Swingaires and Knight Sounds. Chris also enjoys playing woodwind parts in musical theater! A few of his favorites are Fiddler on the Roof and Will Rodgers Follies. Cheryl is currently employed as a music teacher at Great Valley Academy in Modesto where she teaches classroom music, ukulele, and drums classes. She received her BA in flute performance at California State University Chico, and an MA in Music Therapy from University of the Pacific. Her previous music teaching positions include elementary band and choir director at Plumfield Christian Academy, as well as private flute instruction. She has worked with beginning and intermediate flute groups through Gottschalk’s music programs. As a professional musician, Cheryl has performed with the Stockton Symphony, Townsend Opera Players, Merced Symphony, Lodi Symphony, Stockton Opera, Stockton Chorale, and Zion Chamber Orchestra. She is a member of the American Federation of Musicians, local #189. 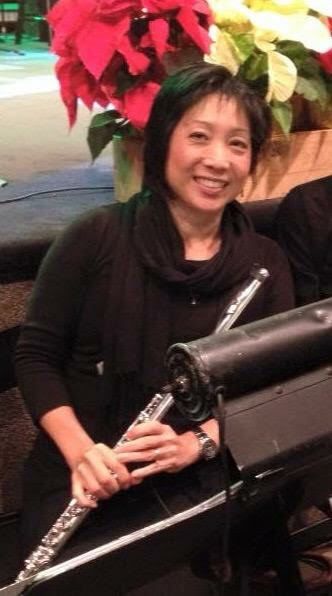 Cheryl enjoys performing flute in her church orchestra at Big Valley Grace Community Church. Amy Maris brings the experience and passion of several decades of stage experience and individual music instruction to her classes at MAMD. Performing with a traveling multi-media group and onstage with Modesto Performing Arts for many years, along with the experience of seeing Shakespeare performed at The Globe in London have fueled the fire for the drama classes and reader’s theater she teaches. Jacqueline attended the Thomas More College of Liberal Arts in Merrimack, NH, and the Russian Academy of Art in Florence, Italy. After studying drawing and painting in Italy, she apprenticed with professional painter, James Gillick, in Lincolnshire, England. She believes in an individualized approach to teaching art based on a child’s particular interests and technical level. 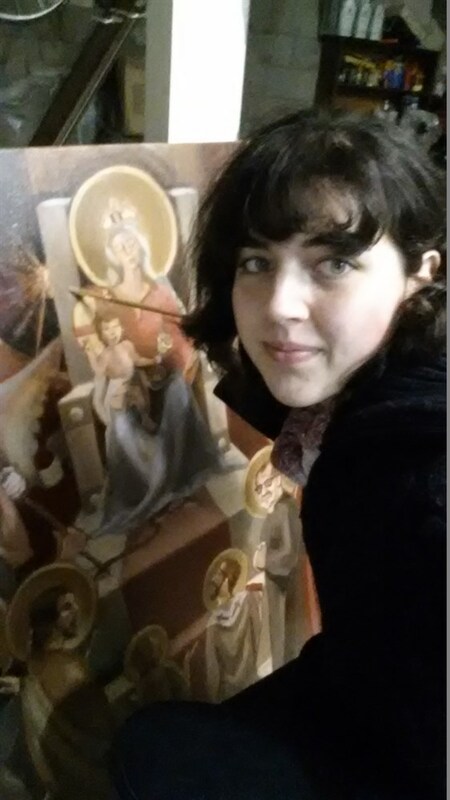 She teaches students to draw and paint from life, their imagination, and from masterworks in order to attain the skills necessary to carry on the figurative, fine art tradition. Paul graduated from the Art Institute of Los Angeles with a Bachelor’s degree in Media Arts and Animation. He currently works as a Freelance Graphic Artist. He has worked on mobile applications such as Liquidmetal Games, GRIP (iphone) and U4RYK’s Heroes of Tomorrow (android). He has also done work for Collision Studios as a Concept Artist and UI Designer. He currently does work for Diamond Game Enterprise (online gaming) and Joli Digital Studios. Art has always been Paul’s passion since childhood. This passion veered him into Computer Graphics and Animation. Later in life Paul developed an interest in teaching and pursued an opportunity to share his knowledge and pass it on to the next generation. 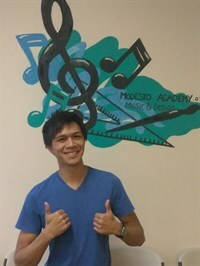 He is grateful that Modesto Academy of Music and Design has afforded him that opportunity. Science, Programming, Technology, Mathematics and More! Tai has mentored, taught, tutored numerous subjects for grades K-12 and beyond to youth, college age, and seniors in his role as founder of Covenant Heritage Academy Tutoring Services along with his wife, Kathy. After years in Information Technology software, operating systems, applications, and natural and computer languages, he continues to explore technology to make it more fun and approachable for students. Tai says, "Education should be a joyful life-long journey from mystery to steps of knowing facts, walking from discovery to understanding, flying onward from practice to forms of proficiency." His goal is to come alongside students and enable them to supercahrge their learning styles, gain insights, and collaborate with one another make better tools and methods utilitzing beyond the box thinking. Currently, he continues to privately tutor and is excited to bring a new variety of classes to MAMD. Veronica has been a great addition to our office staff team. With her background in accounting and office administration she has jumped in with both feet! Her dream is to get her Bachelors Degree is Accounting. You'll find her working on billing and other odd jobs around the office. While born and raised in Modesto, CA, Veronica has also lived in Utah. 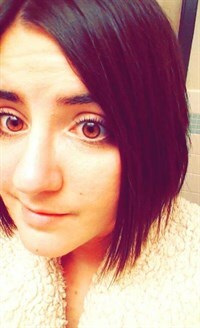 In her spare time she loves to play video games, attend various conventions, travel, work as an Avon Representative and hang out with her best friend. Spencer is a College student studying advanced microbiology. He has been building with LEGOTM for 18 years and enjoys it as a hobby as well as reading, gaming, and spending time with family. Spencer has also taken Lego & Robotics classes here at Modesto Academy for many years before he began teaching. Mr. Jay earned his Bachelor's Degree in Vocal and Instrumental Music education at the University of Nevada. His major instrument was piano and taught high school band and chorus for 10 years and has taught private piano lessons in student's homes for over 50 years. Mr. Jay has also worked as a manager for AT&T, BART, and Wind River Systems for 35 years. He and his wife have been married for 58 years and have 7 children and many grandchildren and great grandchildren whom which he is very proud of. 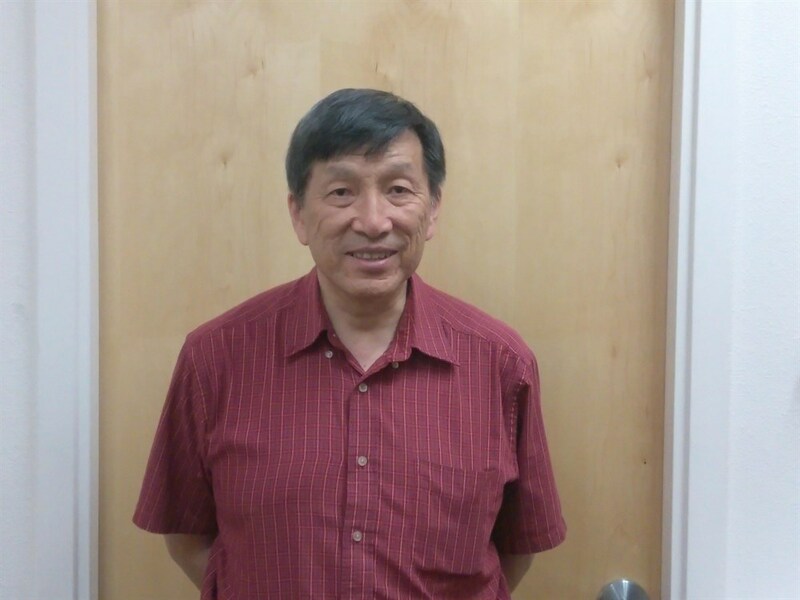 Mr. Jay enjoys religious activities and has served in many capacities in his church. He played trumpet and French horn in orchestras and various bands. On his free time, Mr. Jay enjoys playing tennis and occasionally golf. 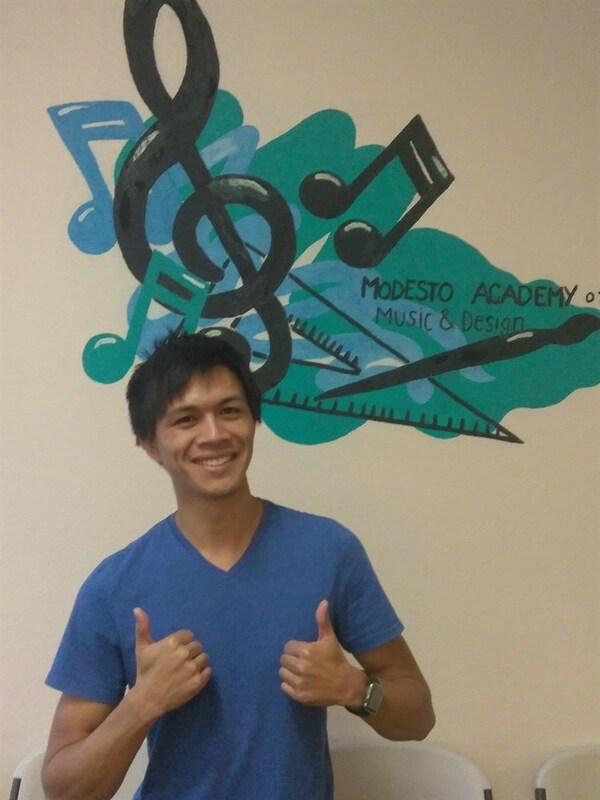 We are very pleased to have Mr. Jay join our team here at Modesto Academy; he brings a happy attitude and upbeat spirit to our facility. Rachel Grider is from Modesto, California. She graduated from California State University Stanislaus in June of 2011 with a BM degree in vocal performance and composition, and from Peabody Conservatory in 2013 with MM degrees in Voice Performance and Music Theory Pedagogy. She is currently teaching voice lessons in Modesto and performing free-lance. She is working on expanding her career as a performer of oratorio and song. Hamilton is a college student who is hoping to one day become a high school STEM (Science, Technology, Engineering, and Mathematics) teacher. Before teaching robotics, he studied Computer Science for 3 years including robotics and game development. Hamilton enjoys playing music, singing, swimming, calisthenics, and playing with his sister and dogs. Chazz was born in California and has taken piano lessons from Pam Tallman for 14 years in Modesto until he graduated from Joseph Gregori High School in 2016. 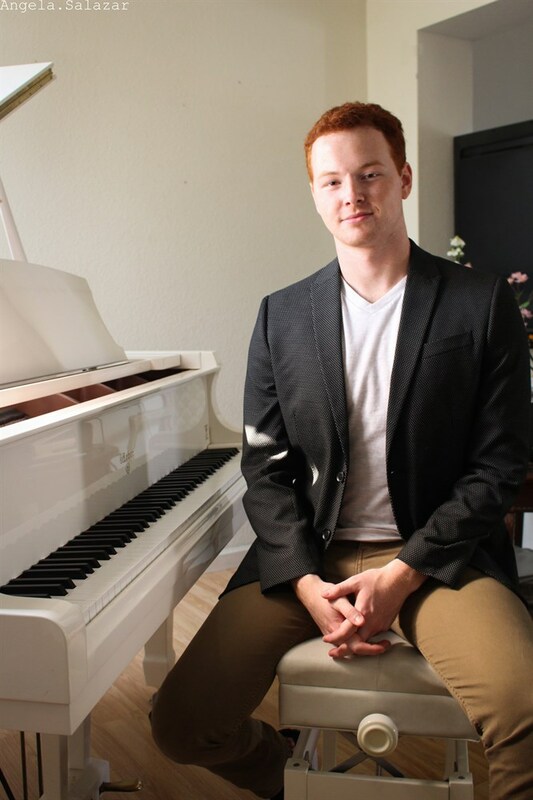 He now attends BYUI as a major in piano performance. During his high school career he played the cello in orchestra, French horn in band, piano in Jazz band, and synth/keyboard in winter drum line. At age15 Chazz began to teach piano lessons. In 2015 Chazz was recruited into the Santa Clara Vanguard Cadets drum corps playing Synth. That season of touring, they won the DCI open class world championships. Chazz has also received the Certificate of Merit level 7 for piano, and was first place in the division 5 Music Teachers Association of California 2016 composers today state contest, where he wrote the score for a short film. 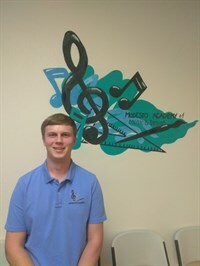 While graduating high school, he received the John Phillips Sousa award, and wrote multiple pieces for his high school's band and chamber groups to perform. Since graduating Chazz has written music for the Idaho Falls High School drum line, San Diego Sirens all women acapella group, another acapella group named Soundwave, various ensembles and solos for performers at college, and aspires to become a film score composer. Christopher Fox has been a professional musician in Northern California for over 10 years with total experience exceeding 20 years. He began his journey in elementary school with melodic percussion. Soon after he began an 8 year stent of private drum lessons from a local music school and soon began teaching others. While in High School, he developed a very successful field corps drum line with the assistance of the band director and helped several peers improve their drumming abilities. 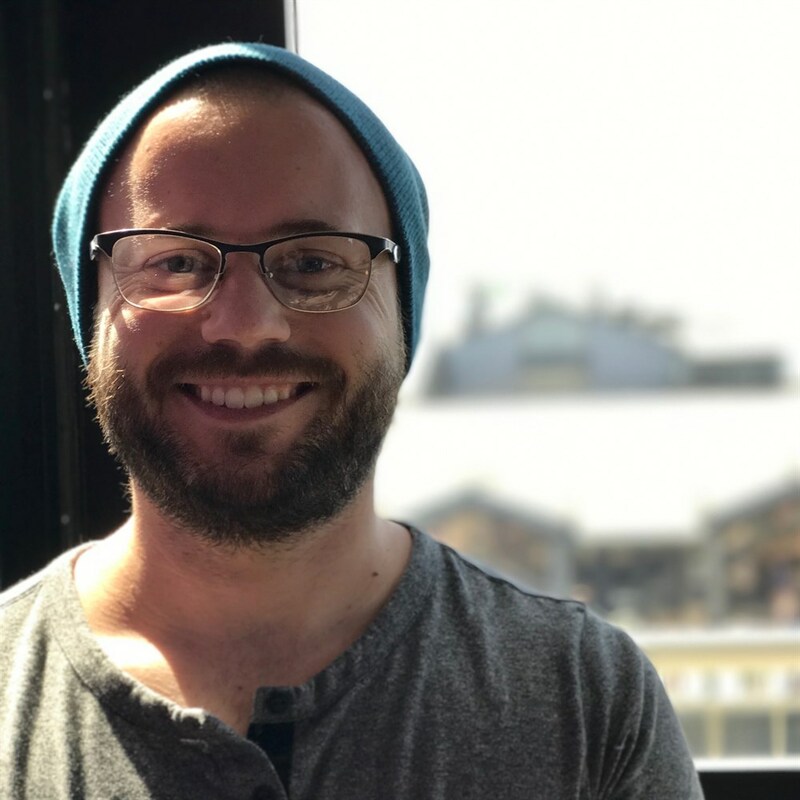 In and after college, he continued his passion for music by serving regularly on his church's worship team playing drums and guitar, performing regularly in local venues, and teaching the next generation of musicians (including his two children). 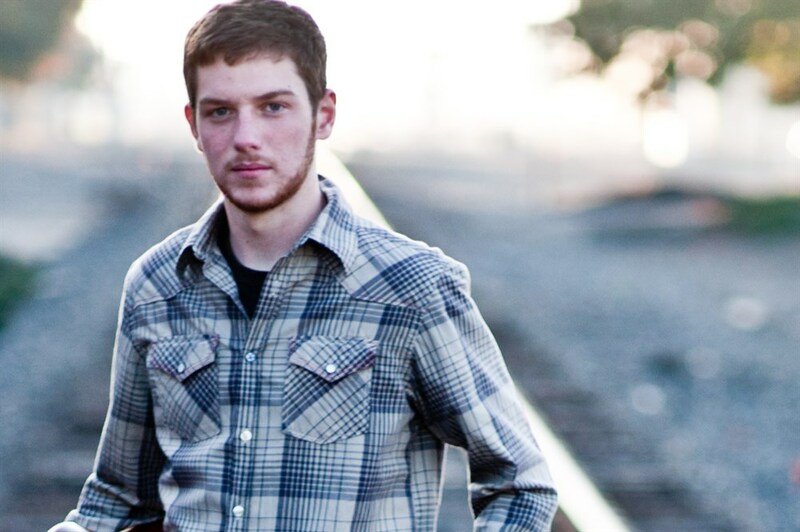 In addition to performing, Chris also has a passion and experience in live sound and recording engineering. He has performed in numerous notable venues including the famous Whisky A Go-Go in Hollywood, California, and the Pound in San Francisco. He has shared his passion for music throughout the Central Valley through private instruction and audio training for several years. 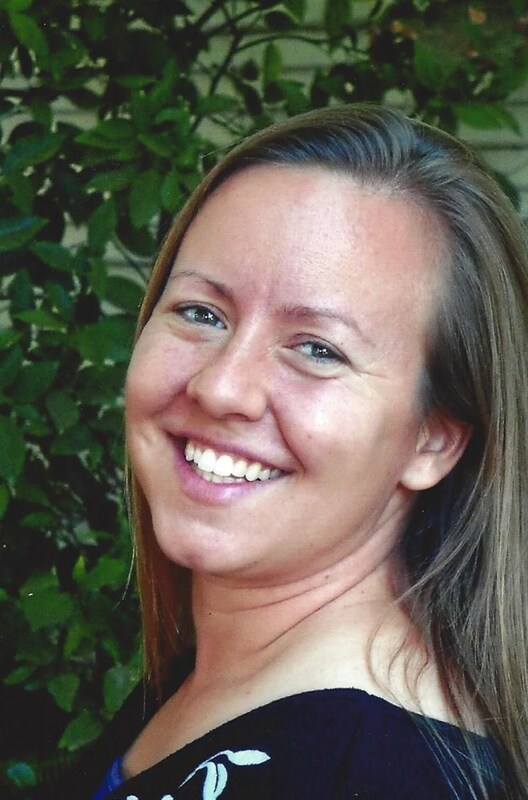 Marie and her family moved to Modesto, California in September 2014 from Northern Utah. She started music in the 7th grade with clarinet, then viola in 9th grade practicing 4 hours every evening! Two weeks after picking up a viola, she auditioned for the West Walley Symphony of Utah. They didn't hold auditions, but the director was intrigued with her interest of being a symphony member. They were impressed enough that she was invited to stay for rehearsal. After a few years, she was appointed to the position of Principal Viola, and a few years later, she was appointed head of Public Relations on their board of directors. Marie had a twenty year career with the symphony. She was also a featured soloist as a vocalist and playing a violin concerto and a viola concerto. Since moving to California, Marie has kept plenty busy performing with the following groups: Modesto Junior College Orchestra (Principal Viola), Modesto Junior College Band (Bass Clarinet/Alto Clarinet), Stanislaus Community Band (Eb & Bb Clarinet/Flute/Guest Conductor), Awesome Orchestra Collective (Viola), Dirty Symphony (Viola), Modesto Performing Arts (Music Director/Pit Musician), MoBand (Bass Clarinet/Trumpet/Horn), Hilmar Community Band (Music Director), Gottschalk Music Center Concert Band (Bass Clarinet), Modesto Christian High School (Pit Musician/Viola/Cello), Playhouse Merced (Pit Musician/Lead Violin) and Modesto Unplugged (Orchestral Director) . She is also the Band Director for Hart Ransom for grades 4th-12th. She teaches beginning, intermediate, advanced and Jazz band. Before moving to California, Marie was the Founder and Music director for the Davis County Symphony; adjudicator for for orchestra festivals, solo and ensembles, and Suzuki Festivals; community band director; assistant and guest conductor; band and orchestra teacher; traveling clinician; string specialist for community and youth orchestras; concertmaster of two symphonies; Music Director for several community musicals; board member for several community symphonies and enjoyed traveling all over Northern Utah performing in various music groups with her husband, Evan, who is a professional trumpet player.